Transport Safety Victoria (TSV) has suspended the accreditation of Dee Decker Tours. The move follows a raid by TSV, Victoria Police and VicRoads in March, after the Melbourne party bus company was suspected of operating buses against a defect notice. 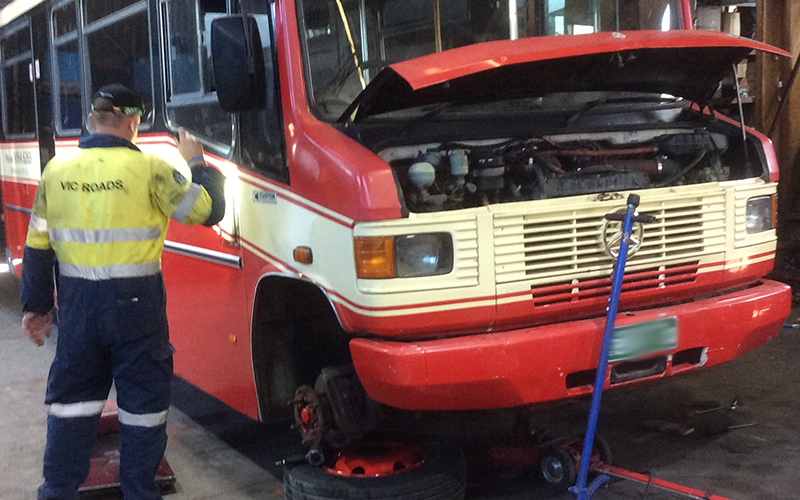 At a previous TSV inspection, 11 Dee Decker buses were inspected and all issued with defect notices. When TSV Bus Safety Compliance Officers suspected the buses were still in use, but with different number plates, they alerted police. "This is an excellent example of the cross-agency co-operation that TSV, Victoria Police and VicRoads are engaging in more and more often," said Shaun Rodenburg, Acting Director Bus Safety. Dee Decker is not accredited to provide bus services until the suspension is lifted. The penalty for doing so can be up to $193,000. Promote improvement in bus safety. Remove any incentive for unfair commercial advantage that might be derived from contravening the bus safety requirements under this Act or the regulations. Influence the attitude and behaviour of persons whose actions may have adverse impacts on bus safety. Bus operators risk their accreditation or registration if they contravene the Bus Safety Act. BSV will take swift and decisive action if public safety is put at risk.